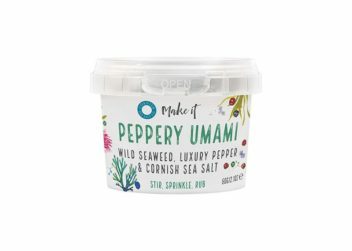 This is Cornish sea salt Peppery Umami (previously called Original Sea Pepper) containing black and green peppercorns, sea lettuce, sugar kelp seaweed and sea salt. The result? 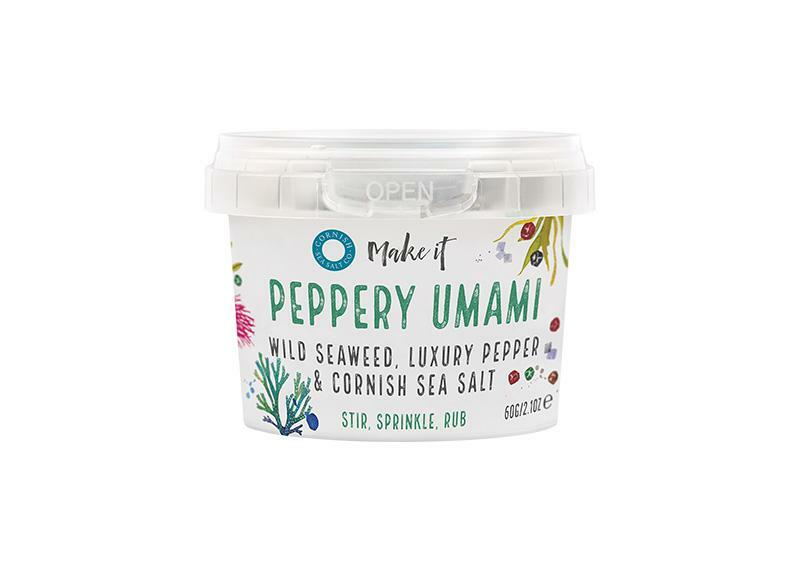 All the spiced warm heat of peppercorns with a shot of mineral goodness from two seaweeds, plus the freshness of natural sea salt. It’s salt and pepper with added pizzazz, more an ingredient than a seasoning,keep it in your food cupboard to add to a wide range of dishes for an extra little something.